LG has been slowly climbing to the top of the Android mobile phone market for a few years, quietly improving their hardware over different models to the point where their flagship G line of phones are anticipated with much enthusiasm. When LG announced they were releasing a curved phone, it was certainly met with curiosity but the addition of a degree of flexibility, as well as the self-healing back, meant that they now had our attention. The G Flex experience begins with the box – it’s curved. The very top of the box is curved, and it stands out amongst other boxes, but it’s something minor in the grand scheme of things. But it speaks to the whole point of the G Flex – the curve. Mobile phones have been very staid in terms of design for a while so it’s been really fun to play with something a little different. Indeed the phone attracts attention wherever you go, first with the massive 6″ screen, then the curve, the flexibility and even still the rear mounted keys. With this phone, LG has thrown a lot of different design changes at the wall and will invariably be seeing what sticks. The design is something, but then LG has followed it up with some pretty impressive hardware to match and it’s a phone that stands on its own. The G Flex isn’t just a bent G2, it’s its own entity and LG has treated it that way from the very design stage, which we discussed earlier this month. The self-healing back was one of the things which came out of the design stage. While it’s a fun phone to look at, hold and show off, it’s got to be able to be used every day, so how does it go? The G Flex is a purpose built phone, it’s been designed to focus the attention to the main feature of the phone – that curved screen. LG have stressed that there have been no compromises in the design and build of the LG G Flex and that’s evidenced in the high level laundry list of components that will impress even the most power hungry user, from the Snapdragon 800 CPU to the 3,500mAh battery it’s a finely polished and well thought out phone; one that LG have taken the time to put together with a care for just how a person who wants a large screen phone will want to use it. The G Flex is to start with a really large phone – with a 6″ screen you can’t get away from it and it’s one of the first downsides that a large number of people will target when they see it, but it’s deceptively comfortable to hold for such a large phone. Perhaps due to the curve, the phone is both comfortable to hold in the hand and conforms so well to the face it just feels, for want of a better word, natural. The front of the phone is dominated by that 6″ screen, and it’s the first Plastic OLED (P-OLED) screen to launch on a phone in Australia. On the front, above the screen you find the various ambient light and proximity sensors as well as the front facing camera, while below is a fairly small, to the point of being discrete LG logo and that’s it. 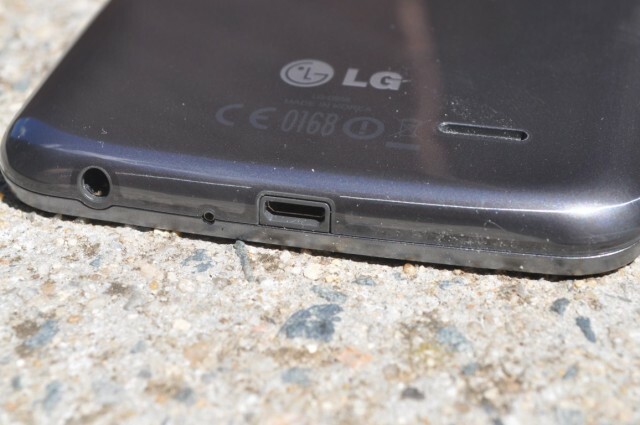 Like the LG G2, the G Flex continues their unique hardware key arrangement of placing the volume rocker and power key on the rear of the phone beneath the camera lens. The arrangement is actually quite comfortable, when I reviewed the G2 I made the comment that it took some time to get used to this setup and I found the moment I picked up the G Flex, the muscle memory came back and it immediately felt comfortable. It’s taken a second shot at this setup to realise that I actually like this button arrangement. The downside is difficulty in taking screenshots, nothing major but it’s really difficult with this rear-key setup. With the G Flex, LG has made the decision to move the headphone jack to the bottom of the phone, something I applaud due to the nature of how I put phones in and out of pockets when using wired headphones, but with Bluetooth headphones, this argument is getting a bit dated. Also at the bottom of the phone is the microUSB charging port (mounted the right way up). The build quality is nice, the usual test of getting flex from a device to test the durability is null and void with the G Flex. But even in this respect, once you’re over the fact you’re flexing your phone, it feels like its meant to flex. 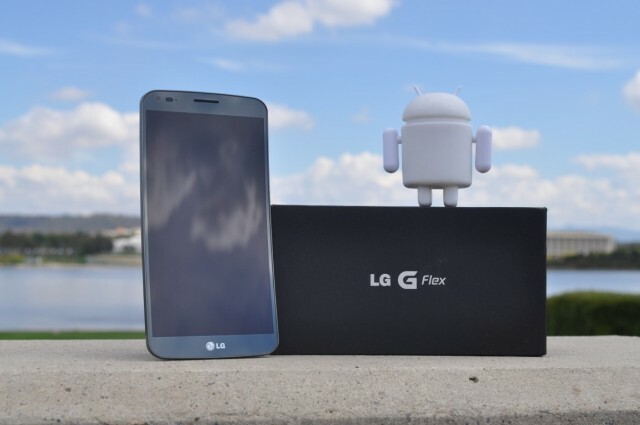 There is a creak when it does flex, but flexing a phone through the range of flexibility that the G Flex has available will elicit more than a creak in any other phone. 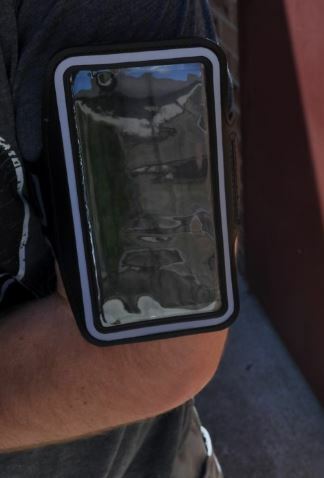 From the curved screen, with a plain, understated front with protuberances on the sides of the device, even the microSIM tray on the left hand side can’t be seen readily. Anyway you look at it, the G Flex is a striking, memorable design and overall one that’s very pleasing to look at. That 6″ Screen is without doubt the crown jewel in the G Flex and before getting hands on it, the first thoughts are of the low resolution and low pixel density – don’t make the same mistake I did. The P-OLED screen that’s installed in the G Flex is quite simply a joy to use. The ability of OLED to deliver consistent blacks works particularly well on the curved screen, especially when watching movies is one of the primary use cases for this phone. Though it still has issues with whites, it’s not as noticeable given the darker theme on the LG Skin used on the G Flex and rarely during playing a movie. The screen on the G Flex is bright and with the curve, seemingly doesn’t pick up as much glare as a more traditional flat screen will, with very little light reflected off it making it easy to read under most conditions. Most. That’s overstating it, the only time I had issues with reading the screen was in the midday sun and I’ve had far more problems with phones with better screens than the G Flex. If you want a phone purely based on battery life, you can not go wrong with the G Flex. The LG Chem division in charge of battery technology has outdone themselves, cramming a 3,500mAh battery into a platform that is not only not regularly shaped, but also curved and flexible. With the G Flex I was comfortably using the phone with every application and function I wanted to for over a full day without even worrying about where I was going to find a charger. This kind of battery life and integrity is something I haven’t experienced since using the G2 last year and the G Flex kicks it up a notch from what I thought was an exceptional battery life on that phone. The camera is one part of the G Flex I feel doesn’t quite live up to the ‘no compromise’ stance that LG have projected when speaking of developing the G Flex. As grandiose a statement as that is, there’s really only one problem with the camera on the G Flex and that’s the lack of Optical Image Stabilisation. 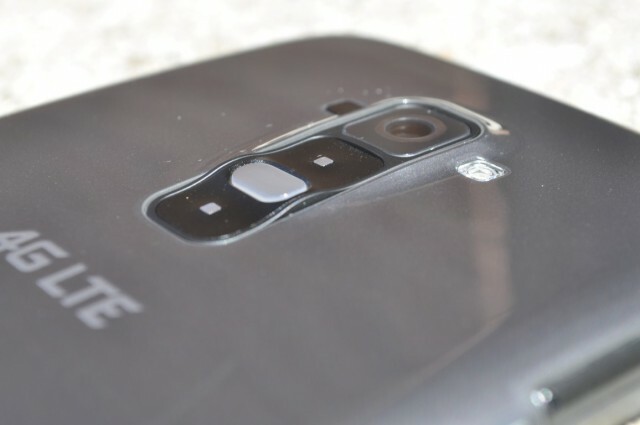 For a smartphone camera the LG G2 was second to none among smartphone shooters I have had the pleasure to use, the G Flex camera uses the same 13MP rear camera module, but just lacks the OIS that made the G2 a stunning shooter in low light conditions. At the end of the day, you probably won’t be disappointed in the G Flex camera. As far as pictures on the G Flex are concerned you will get a beautifully true to life colour correct shot, as long as you’re in good to Ok lighting conditions. In low light you’ll just have to enable the LED Flash that LG have installed on the back. While the phone video recording is acceptable – it’s nothing flash, but it will certainly get the job done – the exciting news from the US is that the Android 4.4 update for the G Flex will bring a new feature to the camera – 4K video recording, but exactly when or if we see that here in Australia is not certain. LG phones have traditionally come with most kinds of connectivity and the G Flex is no different, with the exception of 802.11 AC Wifi and a 900MHz Radio for 3G calls, there’s little to complain about in terms of connecting the G Flex to anything. Bluetooth accessories connect quickly and have a decent range. NFC is present but still a little useless until we get some sort of payment system in place — hurry up Google Wallet. If you’re a speed freak in terms of using 3G or LTE on your device then you won’t be disappointed, at least if you’re on Optus for 3G. The speed tests I got for the G Flex were quite decent and the 3G speed tests were pretty good – true when you test 3G/HSPA at 3am on a week night with no-one else on you’ll get good results, but I performed similar tests at peak times and received good results in Canberra. 4G was unattainable for me here in Canberra with the Optus network using the 2300MHz frequency for LTE here. There’s one interesting design change made on the LG G Flex when it comes to the IR port. Whereas all the phones we’ve seen so far have mounted the IR port in the top of the phone to use in the same manner as a traditional remote control, the G Flex has it mounted on the rear next to the camera lens. This particularly decision makes using the IR port much easier while still using your phone in portrait, with the curve bringing the IR port into direct line of your AV equipment. GPS works just as well on the G Flex as any other phone you could want, but here-in lies some issues with a curved phone. These hurdles are not something everyone will encounter but are worth bearing in mind when thinking about a curved phone and I hope that LG bear this in mind : Car Kits are not designed for curved phones. 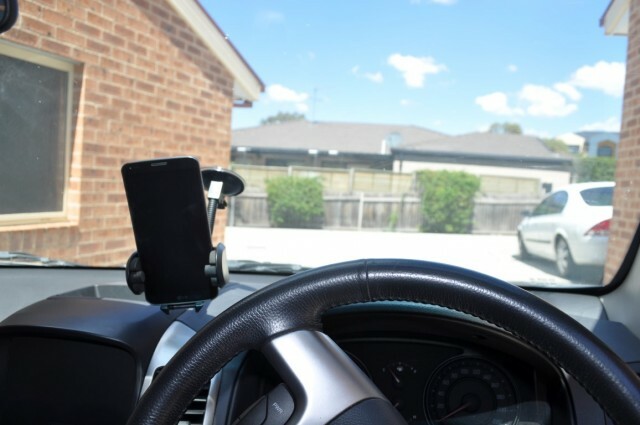 The generic car phone mount I use – which has no issues taking a phone the size of the G Flex – forced it to be angled down, which is not conducive to getting map directions while driving and I encourage LG to bring out their own car mount with a moulded plastic mount to fit this beast. The second issue I had with the G Flex is running with it. I am an avid jogger and unfortunately the curve of the G Flex is not conducive to being placed into the traditional jogging arm band – and yes I have got a Jogging arm band large enough to accommodate it, indeed I have been jogging with a Galaxy Note previously and went for a run with the G Flex, but it felt a little off. The sound on the G Flex is decent, the sound works well through a headphone/earphone setup, likewise with a Bluetooth headset. As usual with a phone speaker, it’s an Ok experience but nothing to blow you away with awesome sound that you can use to show off videos on your new curved screen beast. The killer feature on the G Flex sound wise is that, like the G2 before it, the phone supports 24bit/192kHz hi-res music. You need to have the right set of cans on your ears to really appreciate the sound but it’s there and if you’re an audiophile, you won’t be disappointed. But, there’s always what could have been. With a phone that has a curved screen matching their mid-high end TV lines as well as the high quality audio support, they missed a golden opportunity which would have made the positioning of the G Flex as a media consumption device perfect, and unfortunately they missed it – front facing speakers. The G Flex has a single rear facing speaker on the back of the device. While you can cup your hand around the back of the phone while holding it, to direct the volume, it’s just not ideal. 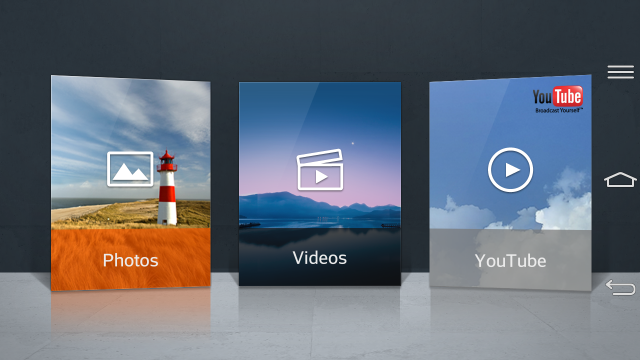 Who wants to spend time consuming media with your speaker facing away from you? The majority of the time you will of course be listening through head/earphones but still, it’s one decision I hope they revisit in any possible sequel. With its Snapdragon 800 SoC, 2GB of RAM and while brilliantly coloured and good looking but low resolution screen, there’s little issues here with speed at any part of the interface on the G Flex. LG’s ability to fine tune even their admittedly heavy skin to perform buttery smooth is an amazing feat for a company who was releasing some less than stellar devices a few years ago. Playing games like Need For Speed will occasionally see a dropped frame or two, but it’s not something you notice hugely unless you’re very attentive and overall games will perform quite admirably. 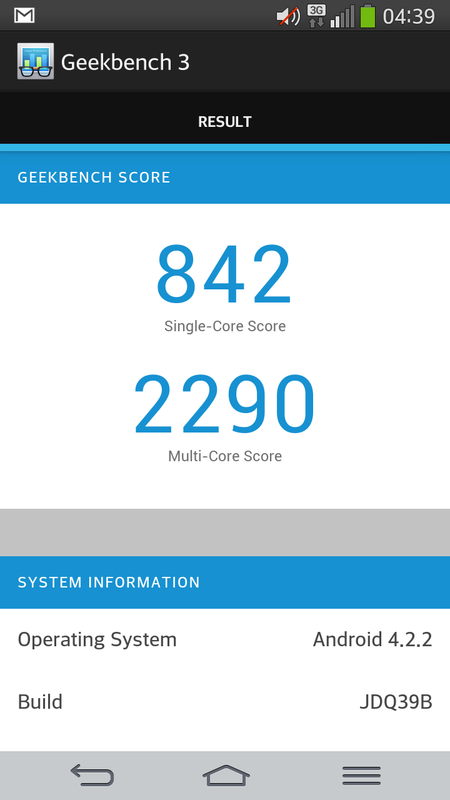 While I’m personally not altogether convinced on benchmarks, the LG G Flex scores an 842 (Single Core) and 2290 (Multi-Core) on Geekbench. Software has always been the point at which LG phones continue to let me down. But it’s not that they released it with Android 4.2.2, a more than 12 month old version, nor is it due to their lack of features, integration of tools or overall functionality, because LG excels at including all of those things, no, what LG has consistently failed to deliver is a good looking interface….until now. With the G Flex, LG has done what I thought impossible up till now, they’ve made me like the look of their interface and they did it by making one very easy change – they made a dark theme. Whereas the LG skin on previous phones has been light and repeatedly called cartoonish, by simple dint of giving dark overtones throughout their OS, the phone feels more usable. Don’t get me wrong, there’s still niggling issues such as the App drawer, which is still ordered by ‘User Customized’ by default which equates to having pre-installed Apps listed alphabetically followed by user installed Apps lumped in after, sorted by their install order. 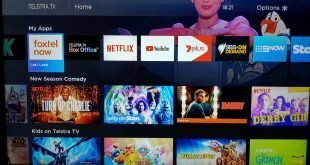 One simple thing to fix this LG – Sort by Alphabetical by default. There. Fixed. The notification drawer is similarly still asking for some work, but as LG use the Notification Shade to show off QSlide Apps you can forgive them somewhat, because given half a chance, QSlide Apps can be extremely helpful. Similarly, the Quick Settings toggles are ordered to show off Quick Memo first and foremost, but unlike the seemingly useless and un-configurable quick settings from stock Android, the order of all these quick settings can be changed easily. Overall, LG has done a nice job with their skin on the G Flex by making that one change. 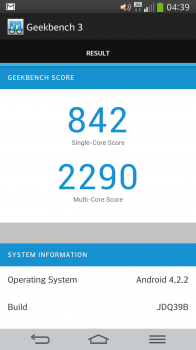 The software has functionally changed very little from the LG G2, with a few exceptions. LG has added a few features to their software which enhance the user experience further for those wanting to experience video on the curved screen of the G Flex. First and foremost of these is Q Theater, a function which is activated by holding the phone in landscape and using your thumbs to slide out from the centre, like sliding curtains across a theatre screen you’re then taken straight to a multimedia hub where you can view pictures, video or YouTube. Next they’ve implemented a multi-tasking service on top of the floating QSlide Apps option that you normally get. Press and hold the back button and you can run a dual window setup with one App at the top and one App below. The Apps you can choose from are mostly, but not limited to, QSlide Apps, which can still be used in their capacity as floating Apps over any running App. This dual-App screen is certainly handy for multi-tasking and really shows off that gorgeous 6″ Screen and just how much real estate you have there. LG has also made a change to the soft keys adding a notification key which you can add from the settings menu. Where as previously you could always add in which soft keys you want – except multi-tasking – and the order they display in, you can now add a soft key which pulls down the notification shade. A really useful option for using a 6″ device for people with smaller hands, even with my larger hands I found it useful. Lastly on the lock screen you will notice that the accelerometer is active to show off a cool feature that just looks neat on the curved screen. Tilt the phone up and the view on the lock screen animation scrolls up, likewise for down. It’s just a cool feature. Down at brass tacks level, the G Flex brings together a lot of cool, innovative and futuristic technology that you need to get yourself to a Harvey Norman store to experience in person, it’s really just that cool. Unfortunately we have a problem, though the phone is fantastic, at it’s current price of $998, I can’t in good conscience recommend buying one for most users and that truly makes me sad. If the G Flex was selling in the $600 outright range, or was available on a nicely subsidised plan from a carrier, this would be a great phone to own. On Kogan the G Flex is now listed at $630, the same price that they’re selling the GNote 3 at. Now that it has a much more attractive price point, I’m considering picking one up.